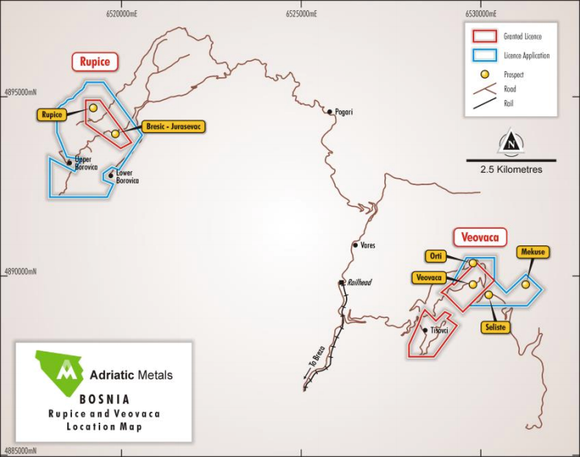 Only a day since its last update, Adriatic Metals PLC (ASX:ADT | FSE:3FN) announced this morning that the Vareš Municipal Council has approved its application for a major land expansion to its existing concession agreement at the Vareš Project in Bosnia and Herzegovina. ADT’s wholly owned Vareš Project comprises a historic open cut zinc/lead/barite and silver mine at Veovaca and Rupice, an advanced proximal deposit that shows exceptionally high grades of base and precious metals. ADT’s short-term aim is to expand the current JORC Resource at Veovaca and to complete an in-fill drilling program at the high-grade Rupice deposit. The company has assembled a world-class team to expedite its exploration efforts and to rapidly advance the development phase, utilising its first-mover advantage and strategic assets in Bosnia. Following the success of the exploration program that kicked off last year, combined with the company’s historical database and recent geophysical and geochemical survey results, ADT applied for an expansion to the areas in its current concession agreement with the Zenica-Doboj Canton (ZDC). The extension areas include land where ADT has identified strong potential and where additional drilling could identify extensions to the known mineralisation, or where new discoveries are indicated. ADT is in a fortunate position to have acquired a significant amount of historical data detailing exploration conducted in the Vareš region between 1950-1990, and has been able to validate that work, warranting the inclusion of those areas in the expanded concession application (these are outlined in blue in the map above). The expanded concession area includes land immediately to the north of hole BR-5-18, which intercepted 66 metres of high-grade mineralisation — this area is a high priority for future drilling. The application will now be subject to a brief public review period — if successful, it will be submitted to the Minister of Economy at ZDC for final approval and gazette. Once final approval is received, ADT will need to submit an Urban Planning Permit to ZDC, and seek a Federal Exploration Permit amendment to cover the additional areas in the expanded concession. ADT’s application for the Urban Planning and Exploration Permits is now well advanced, and should be in place soon after receiving ministerial approval for the concession amendment. Adriatic’s CEO, Geraint Harris, said that the approval of the concession extension by the Vareš Municipality was based on a full council meeting and ensuing discussion, which resulted in a unanimous supporting vote. “This marks a very significant demonstration of the local support that the company is fortunate to enjoy in the Municipality of Vareš,” Harris said. 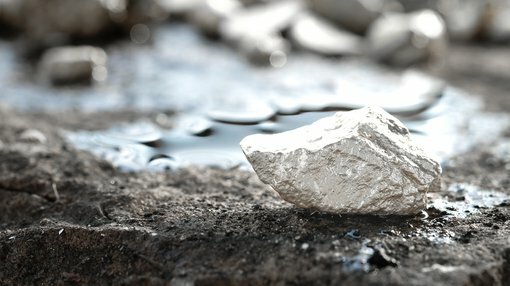 “The expanded concession application will allow us to employ modern exploration techniques to a hugely prospective area and further help maximise the value of the Vareš Project over both the short and medium term.